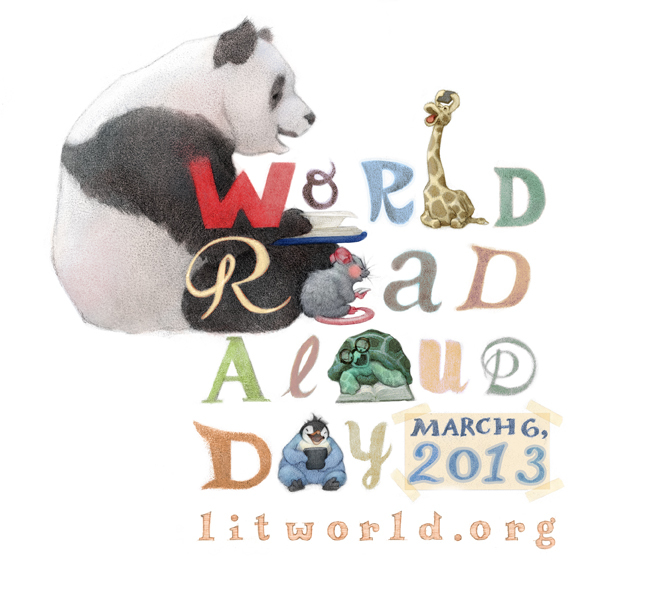 Read It Forward on World Read Aloud Day! Read it Forward for World Read Aloud Day by reading aloud and giving the gift of story in any way you can. Read It Forward on March 6, on behalf of the 793 million people who cannot yet read. 1. Read aloud. To a child you know, to a group of seniors, to a new friend, to an old friend. 2. Gather your colleagues and start a meeting by reading aloud an inspiring article, poem, or book excerpt. 3. Call or video chat friends who are far away. Reading aloud and sharing stories connects us across continents and oceans. 4. Spread the word online. Make the WRAD logo your avatar and use our sample social media posts to rally your networks. 5. Host a fun event. The WRAD event kit has a step by step guide to organize your read aloud celebration. Newer PostSave the Date for LitWorld's Gala 2013!